October | 2015 | Mothers Against Wind Turbines Inc.
that all documents have been released and time has been given for analysis the hearing is continuing. We started the day with the continuation of the cross examination of Ministry witness Joe Crowley. Mr.
of the permit to “kill harm and harass” species at risk at Ostrander Point. qualified as a witness of fact but not as an expert witness on Blanding’s Turtle. The hearing resumes tomorrow at 9:30 am at Ameliasburgh Town Hall. Canada’s wind-energy sector, when compared to Europe’s, is an infant. But at just a few decades old, this nascent renewable energy resource is clearly becoming a force to be reckoned with. Wind turbines operate in every province, as well as the Northwest Territories and the Yukon. Wind energy accounts for nearly five per cent of domestic energy demand — enough power to meet the needs of more than three million homes each year. Between 2010 and 2014, Canada’s wind power grew by a whopping average of 24 per cent year over year. With the commissioning of the K2 Wind Power Project in southwestern Ontario in June, Canada has become the seventh country in the world to surpass 10,000 megawatts of installed wind-energy capacity — a move that, supporters say, positions the country to continue its rapid growth as a mainstream contributor to the supply of electricity. As wind turbines are relatively new on the Canadian power-generation scene, the work conditions in these installations have been, until recently, largely unexamined. But a team of researchers in Quebec, who conducted a review of the occupational health and safety risks associated with working in the wind-energy sector, has shed some light on the issue. Their 66-page report, Wind Energy Sector — Occupational Health and Safety Risks and Accident Prevention Strategies, was released in March by the Montreal-based Institut de recherche Robert-Sauvé en santé et en sécurité du travail (IRSST). This first study of Quebec’s wind-energy sector assesses the industry’s workplace-safety practices and the hazards to which its workers are exposed. “Working in a wind turbine is not at all like working in a conventional factory,” says Jean-Louise Chaumel, Ph.D., professor at the Université du Québec à Rimouski and co-author of the IRSST report. The exploratory study concludes that the main hazards of working at wind turbines are falls from heights, the remote locations of wind farms and contact with high-voltage electricity and moving parts in a cramped space. The unique conditions of working at wind turbines in Quebec, including weather and isolation, also increase job risks. But accident-prevention programs do not take these specific conditions sufficiently into account, because these plans are based on documentation produced by wind-turbine manufacturers — most of which are European. NextEra Energy acknowledged Wednesday that it shut down some of its Ontario turbines and warned landowners after it was discovered a part on spinning blades could fly off. NextEra said the potential problem was with “a small thin plastic attachment” on the turbine blades that could separate while in operation. “No injuries or property damage occurred as a result of this situation and we are working aggressively to develop a long-term solution,” NextEra spokesperson Joselen Bird said in an e-mail. Some wind turbines, particularly those near roadways or other public access areas were temporarily shut down. 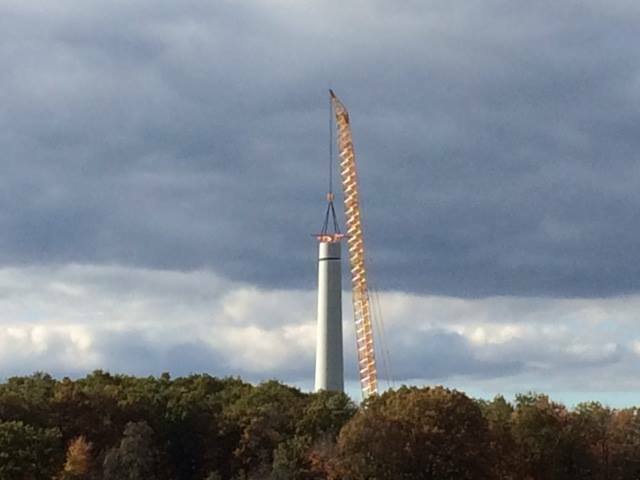 After the plastic part was removed from the blades, the turbines were restarted, Bird said. Bird emphasized that affected landowners were notified and the company shared with them the actions being taken. The issue was raised in the Ontario Legislature Tuesday by Huron-Bruce Conservative MPP Lisa Thompson, who demanded a safety audit of industrial wind turbines across the province because of the risk of falling debris. She asked the government to shut down any turbines found unsafe. Thompson said farmers in the Municipality of Bluewater north of London had been told by the wind farm company to stay a minimum of 300 metres away from the turbines when harvesting their crops. First Ontario….and now the Country. Canada is set to head in a new economic direction with the election of Justin Trudeau and his Liberal party to a majority government. Trudeau will have four years to implement his electoral platform, which includes billions of dollars in new infrastructure spending and tax cuts aimed at the middle class. Here is how economists expect the new government will affect five key areas. Following the victory, the Canadian dollar rose 0.2 per cent after shedding 0.8 per cent Monday in the lead-up to election night. The loonie could also see longer-term weakness, as Trudeau has pledged to run a deficit for the next three years in order to spur economic growth. It has been reported that farmers in the Municipality of Bluewater were being told to keep back 300 meters from IWTs due to potential direct harmful impacts, and to notify the wind farm operators when they are harvesting their crops near a turbine so that the blade rotation could be slowed. “Not only has this Liberal government forced unwilling communities to host these expensive, unwanted turbines, they are now putting the safety of these communities at risk,” said Thompson. “Safety audits and standards should be routine in any large-scale industrial project, and failing apply them to IWTs is negligent”. In his response, Minister Glen Murray did not commit to immediately conducting a safety audit of the wind farm in question through an impartial third party. If you thought the carry-on and underhand tactics by the wind companies in Ireland was something to believe, feel relieved that you are not being threatened by the Turkish wind industry (probably owned by the same crowd? ), who seem to be well in control of local government and the district courts. The environmentalist Esen Fatma Kabadayi Whiting has been conducting a brave struggle against the energy company ABK Çeşme RES Enerji Elektrik Üretim A.Ş since 2013 February. She has been resisting the building of wind farms close to residential properties and has also been highlighting the devastation caused to protected areas of conservation and to agricultural land.. The energy company responded to this campaign by making a complaint of criminal slander against Ms Whiting, but she denied the charge as bogus in the Çeşme 1st Criminal Court. The company representative who made the complaint did not bother to appear, but despite his non-appearance in court to pursue his complaint, the case was adjourned to 18 December, rather than being dismissed. “I didn’t slander anyone. If I had said those words to him there I would say them to him again in this courtroom. I’m not one to be merciful with my words,” said Ms Whiting. The case was postponed to allow the complainant to give his evidence in furtherance of the charge of criminal slander. “As always the project manager makes the accusation and one of the company employees is the witness. In two years we have made many complaints against the irregular activities of the company. But we were not allowed to complain when we were threatened by their people or their bulldozers. Our struggle is a social struggle. This case against me is a case against the whole of Çeşme,” said Ms Whiting. The sky is falling in Varna, Ont. 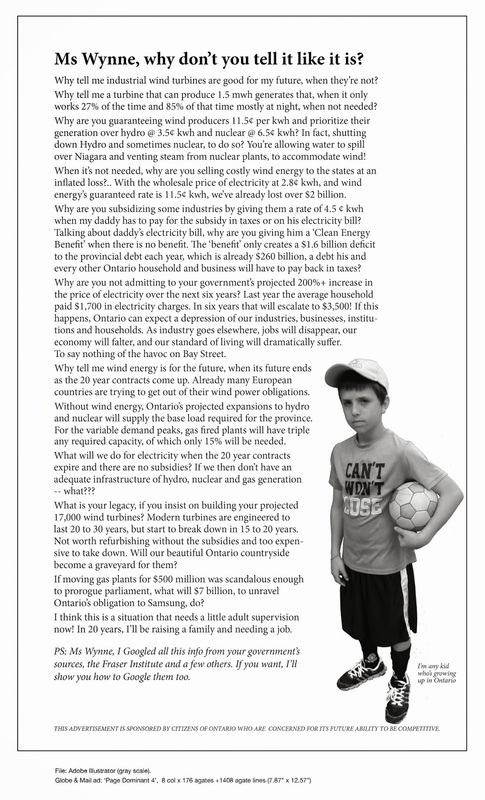 According to a Huron-Bruce Tory MPP of Municipality of Bluewater, parts are falling off wind turbines, especially around Varna, a whistle stop south of Goderich on Lake Huron. “Reported to be falling off are sensors off the blades. The adhesive that hold the sensors to the blades is letting go. That’s my understanding,” Progressive Conservative’s Lisa Thompson told reporters after urging the Liberal government in the legislature to inspect the turbines. 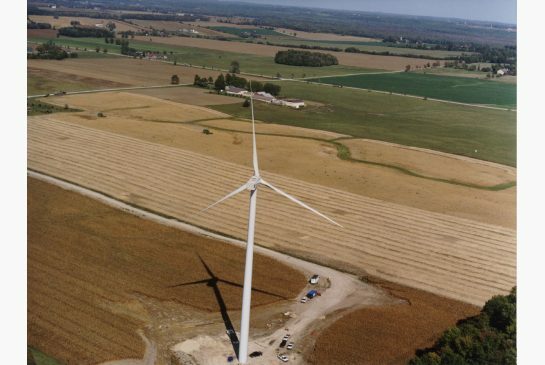 Thompson said the threat of falling debris is of such concern that the owners of the wind farm, NextEra Energy Canada, are urging farmers to stay back 300 metres until a company technician slows down the blades in order to avoid any problems. Thompson noted that Dr. Arlene King, Ontario’s Chief Medical Officer of Health, has previously stated that the only thing to worry about wind turbines is direct impact — “well, the fact of the matter is there are direct impacts happening now,” added Thompson. The Tory MPP said while no one appears to have been struck by a falling sensor, farmers harvesting crops have been told to avoid them. “It is a personal safety issue,” she said. Environment Minister Glen Murray said, if an inspection is done, that he would share the results with Thompson. The wind industry and its acousticians have for many years been denying there are noise related problems associated with industrial wind turbines. A report released this week, and presented to the Department of Energy and Climate Change by the Independent Noise Working Group (INWG), shows how a small group of wind industry funded acousticians have taken control of the Institute of Acoustics (IoA) and its noise working groups. This façade of respectability afforded by the Institute of Acoustics has enabled the wind industry to dominate government noise assessment policy and planning guidance by providing inaccurate and misleading scientific advice. The parallels with the Volkswagen emission scandal are quite remarkable. To stand in the Black Forest in the south-west of Germany and watch 100m-diameter wind turbines turning on wooded ridges is to see the Energiewende in action. Germany’s effort to produce up to 95 per cent of its energy needs with renewables such as wind and solar by 2050 is under way. It is partly working. The good part is on display in Baden-Württemberg, a prosperous state that is home to companies such as Mercedes-Benz, Robert Bosch and SAP. 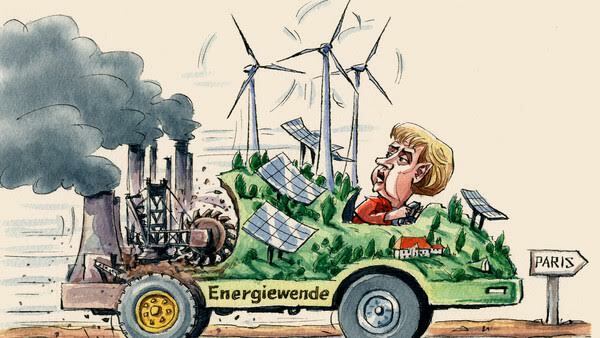 Here, a new Mittelstand of small and medium-sized enterprises has sprung up around renewables that last year accounted for 26 per cent of Germany’s power generation. Nearly half of this was produced by farmers and co-operatives that operate wind and solar farms.